Wang Yuanqi (王原祁, 1642–1715), courtesy name Maojing (茂京) and sobriquet Lutai (麓臺), was a native of Taicang (太倉), Jiangsu (江蘇). He received his “jinshi (進士, presented scholar)” civil service degree in 1670 and served in a number of posts before becoming Attendant Gentleman of the Ministry of Revenue. 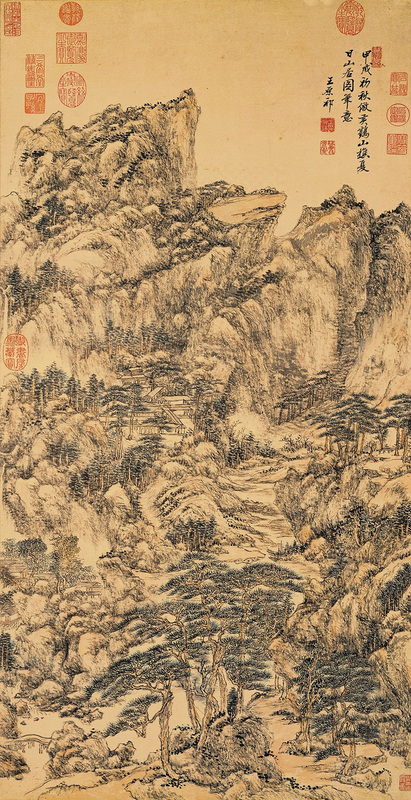 Appreciated as a scholar-artist, he became a personal painter-connoisseur for the Kangxi emperor (r. 1662–1722) and served as one of the editors of an imperial compilation of painting and calligraphy. 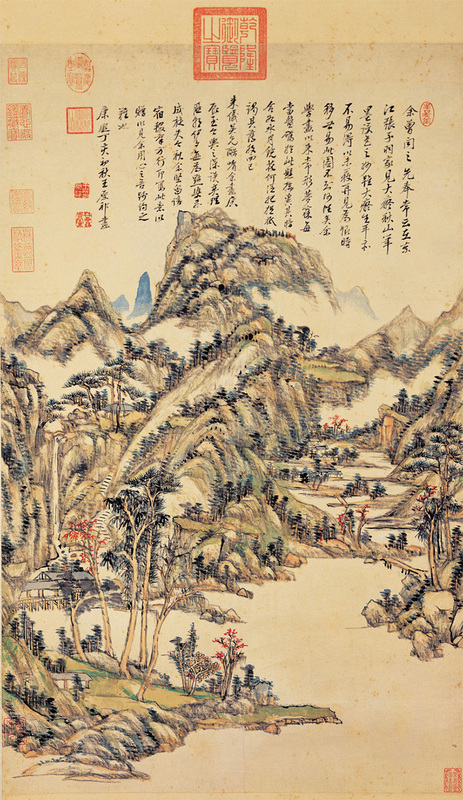 The grandson of the famous painter Wang Shimin (王時敏, 1592–1680), Wang Yuanqi grew up in the arts of the scholar. Developing new theories and influencing generations to come, he is known as one of the Four Wangs of the early Qing, along with his grandfather Wang Shimin, Wang Jian (王鑑, 1598–1677), and Wang Hui (王翬, 1632–1717).